Free parking is available on Johnson and Prideaux Streets (all day) and on Queen Street (after 6pm). 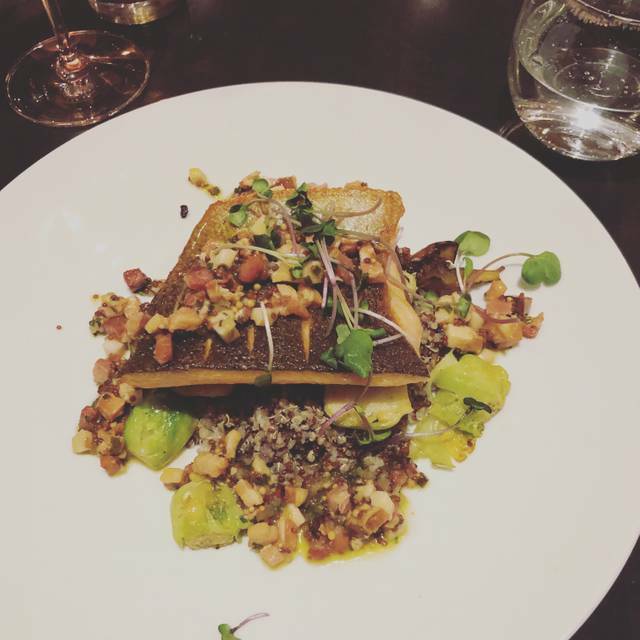 Since opening in May 2006, Treadwell has become one of Canada's most critically acclaimed restaurants. 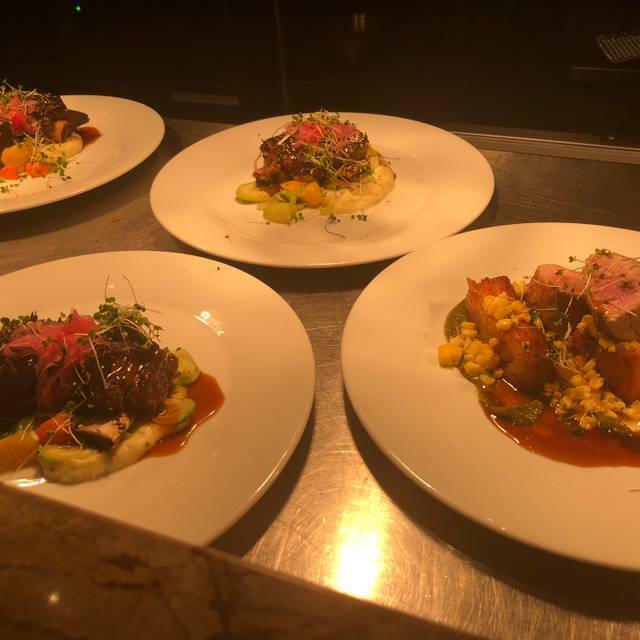 Located in Niagara-on-the-Lake, Treadwell's "Farm-to-Table" philosophy allows Chef-Owner Stephen Treadwell to showcase the very best of seasonal produce from Niagara and Southwestern Ontario. The wine list, created by Sommelier-Owner James Treadwell, is often regarded as Canada's finest for Ontario wines. Please check our Special Events page for a variety of unique events held at the restaurant. Wonderful service and fantastic meal. Sommelier was exceptionally helpful and friendly. Wonderful restaurant. Highly recommended. 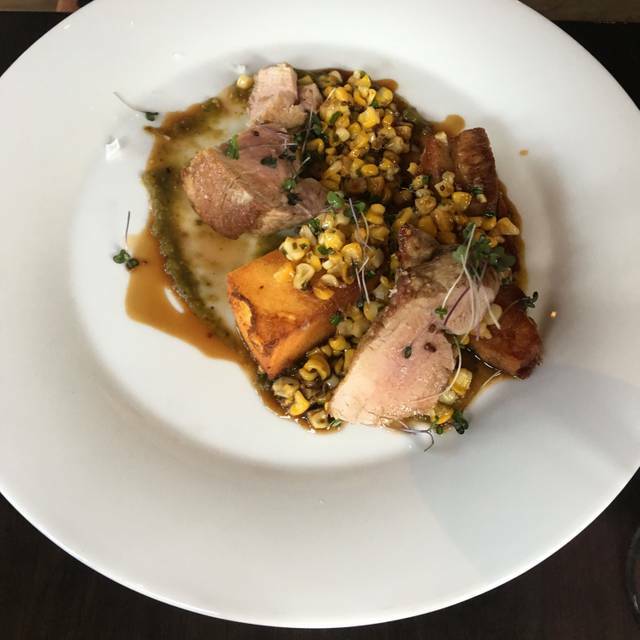 We thoroughly enjoyed our dining experience at Treadwell Farm. The food was delicious and the service exemplary. We look forward to visiting Niagara and Treadwell again in the near future. Fantastic food. Great presentation and attention to detail. A special night with our daughter. The food and beverages were very well matched and the service of Benoit was the epitome of charm and the right amount of attentiveness. The sauces and vegetables on the beef tenderloin plate were spectacular. A wonderful evening. Merci beaucoup, Benoit! My husband and I celebrated his birthday at Treadwell and it was a real treat. The waiter was wonderful, very conversational and attentive. The food as always was excellent. Also, the wine selection is quite large. Over all a wonderful evening. The food is just exquisite and sitting at the counter watching the chefs prepare the food is the way to go. A delightful experience! We enjoyed our experience and dinner at Treadwell. The service was attentive and friendly. The food was quite wonderful. We would definitely return. Even the coffee was delicious . I wish the restaurant continued success. Really incredible food, so gourmet and delicious. The staff were really lovely, and the ambiance was phenomenal. The best service and food! From their knowledge on wine, to their recommendations for food, this was an outstanding experience! 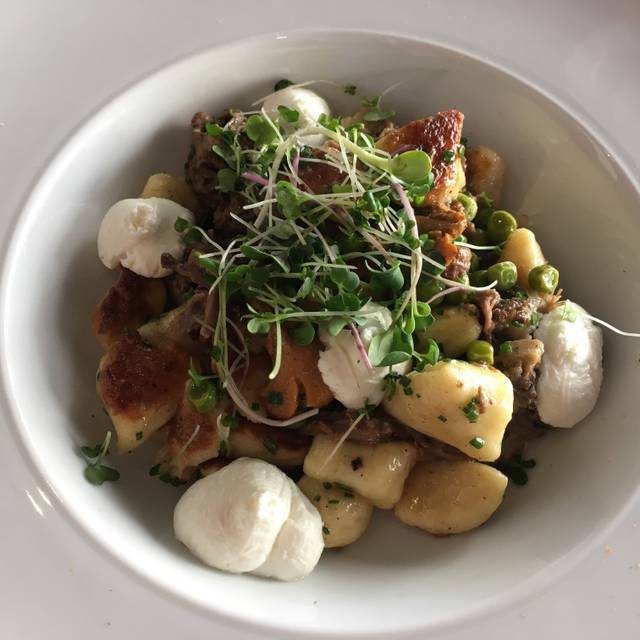 The potato gnocchi was to die for! We will be back again! As always, another lovely lunch at Treadwell Restaurant. 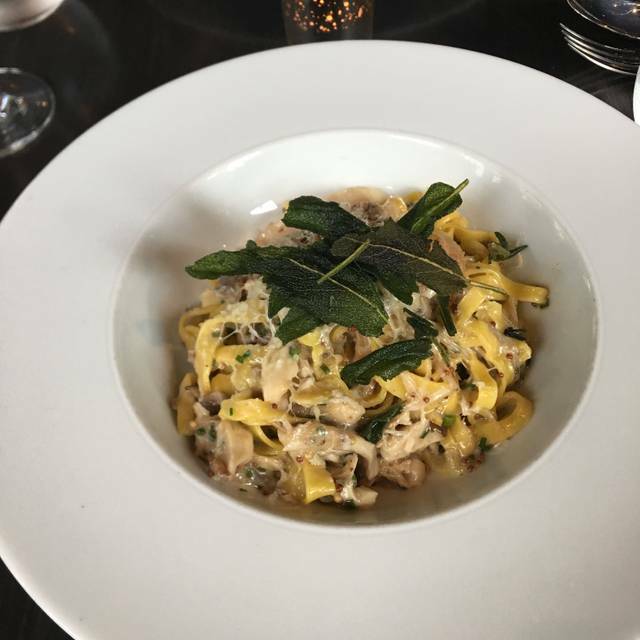 This restaurant is absolutely impeccable in every facet; from the second we walked in the door we were completely looked after by not only the experienced wait staff but also the wine connoisseur. 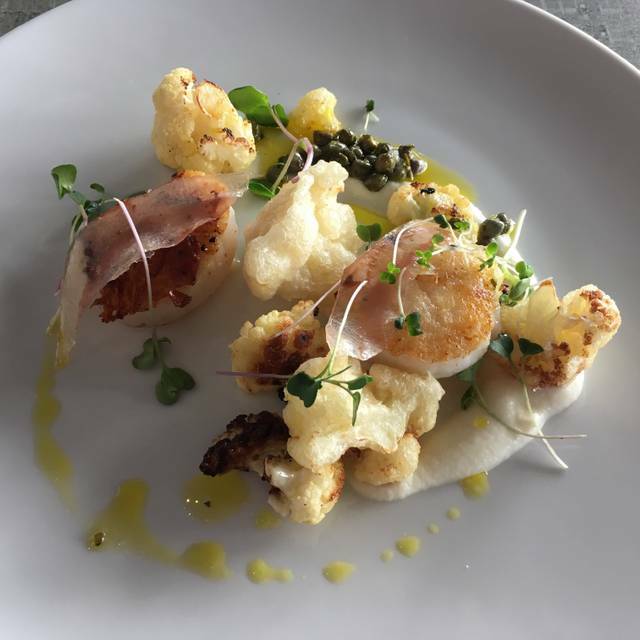 Treadwell has done everything imaginable to make this dining experience one to remember. Being a nutritionist, I was more than impressed by the hand-sourcing of each and every ingredient. When you need to close your eyes to savour each bite, that’s when you know it’s good. Incredible staff. Wonderfully delicious food. Not too pretentious with just the right stuff to make it feel special and have a lovely meal. Sommelier knew his stuff. Thank you for a special anniversary dinner. Amazing dinner, we had vegetarian options , the salad was amazing, the mains were great we went to celebrate our engagement, it was worthy of the occasion. The restaurant was very comfortable. I would like to return but find it a bit pricey. Lunch menu could have a few more choices. Love Treadwell Farm-to-Table! One of our favourite places to dine in NOTL. Wonderful dining experience. Staff was very attentive. This was our third visit, and Treadwell has yet to let us down. Terrific wine list that highlights local wineries at reasonable prices. James the owner and all of the FOH staff were very attentive as always. The menu was perfectly executed. Flawless. Our group of 6 had a wonderful lunch! A mandatory stop in NOTL! Great location, delicious food in a wonderful little town! Spectacular on all counts. Friendly but not intrusive service. I found the lighting perfect , subtle and enough. Fresh produce highlighted in all dishes. We will be back! Always good! Staff are as wonderful as the food is. Great food- very accommodating for our dietary restrictions. Super sommelier and waiters. Have been here several times -worth the drive from Toronto or if you’re staying in NOTL a must! Our experience was wonderful starting with our arrival and ending with our departure. The staff were all amazing and treated us exceptionally well. We were celebrating our anniversary and the complimentary drink was especially a nice treat. Our server was a lovely young lady who knew her stuff and was very professional and kowledgeale. A wonderful first time experience. Fiancé’s birthday. Food was amazing will be going again! Had my best friends 40th at treadwells and it was perfect! We all loved every bite and took advantage of their sommelier who recommended some fantastic wines! Superb food and outstanding service. This restaurant provides an exquisite dining experience! Kudos to the geniuses in the kitchen!! 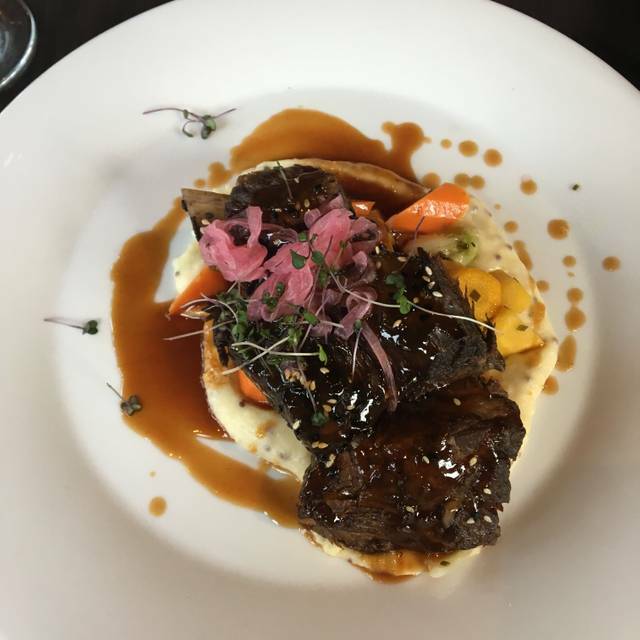 The food and atmosphere was very good and the service was exceptional. We would definitely dine here again. We arrived a bit early for our reservation and Treadwell Farm to Table was ready. My husband and I were celebrating our anniversary. We were visiting on a Friday during Lent, so needed to steer away from meats. Our servers recommendations were spot on! We enjoyed our appetizers (scallops and Frites). The scallops were outstanding and we loved the fresh made frites. Highly recommend both plates! Our dinners were Great Lakes whitefish and gnocchi w/ truffles. Both were excellent. The food was all prepared fresh and served beautifully. James, our Sommelier, recommended we try a Pinot Noir flight which showcased 3 different Pinots from Niagara-on-the-Lake. It was a great opportunity to try these wines from the area. They were excellent! James also sent over a local champagne that was complimentary to commemorate our Anniversary. 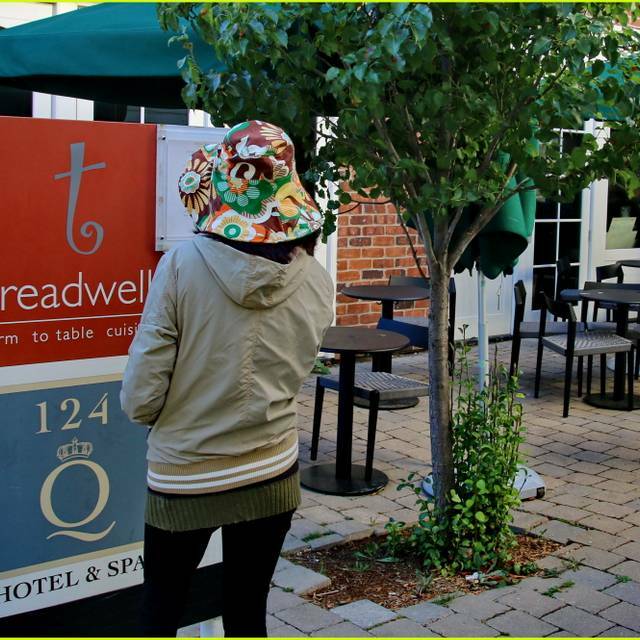 Food, service and people at Treadwell were very professional and so wonderful! Thank you for making our dinner so special! Highly recommend Treadwell Farm-to Table Cuisine. We look forward to returning soon! We had a fantastic time in our group of 3, which allowed us to try several different delicious options. Our server made excellent recommendations, and the entire staff took great care of us throughout the night. It was a beautiful spring evening to enjoy fabulous food in such a beautiful spot. I'm already looking forward to coming back! This was our 2nd time at the restaurant and the second time was just as good as the 1st. Our server she was awesome and so attentive. Food was perfect. We will be back again. Fantastic meal. Beautifully presented with wonderful flavours and just the right amounts. The wine list was disappointing for Niagara on the Lake and very expensive. Service was also excellent. There is just nothing not to like about this place. We live in Toronto but routinely drive down to Niagara on the Lake for lunch at our favourite restaurant. The food is great, knowledge of local wines encyclopaedic, and it's on the main drag of NOTL. To our mind, Treadwells is just about perfect. 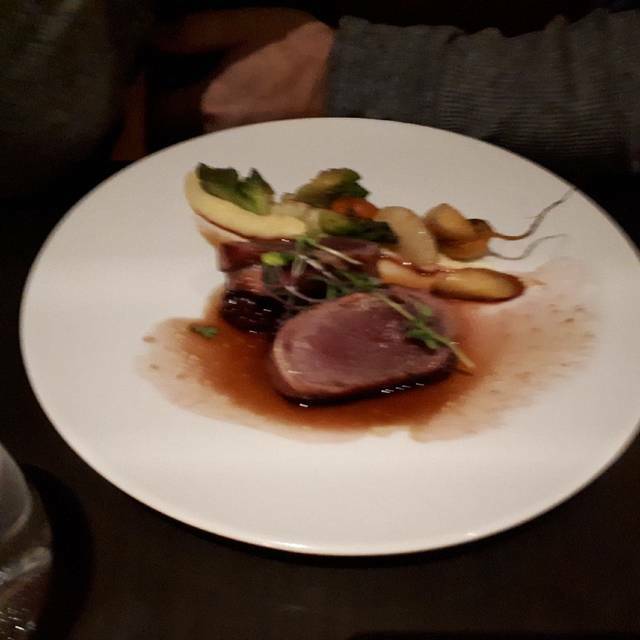 Fantastic food, beautiful location, service was excellent, wine was great. A little on the pricey side but very good. The favours are oustanding and the presentation is very effective. Their service is both professional and friendly. Excellent wines from local vineyards. Amazing experience. Fantastic food. We will recommend to others and be back for another special night.